Microsoft will stop developing Android-powered smartphones beyond those already available. 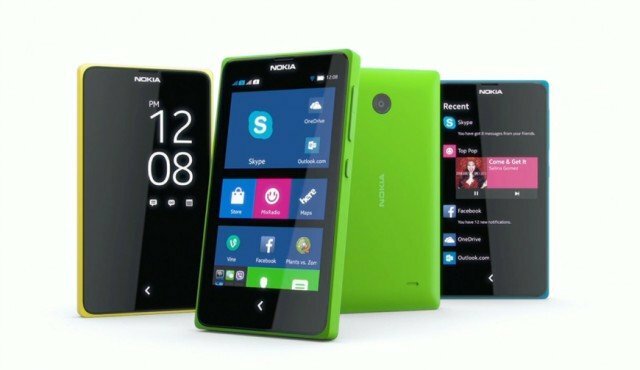 Nokia X models will now become part of the Lumia range and run the Windows Phone operating system, although existing Android handsets will continue to be supported. The move comes as Microsoft announced 18,000 job cuts across its workforce. Microsoft acquired Nokia’s handset division earlier this year. Nokia unveiled its first family of Android phones at the Mobile World Conference in Barcelona in February. The release of the smartphones, which were priced at the lower end of the market, was described as a “perplexing strategic move” at the time, given that Microsoft had its own mobile operating system, Windows Phone. In an email to employees on Thursday, Stephen Elop, Microsoft’s executive in charge of mobile devices, announced that Android handsets were being phased out. “In the near term, we plan to drive Windows Phone volume by targeting the more affordable smartphone segments, which are the fastest-growing segments of the market, with Lumia. “In addition to the portfolio already planned, we plan to deliver additional lower-cost Lumia devices by shifting select future Nokia X designs and products to Windows Phone devices.